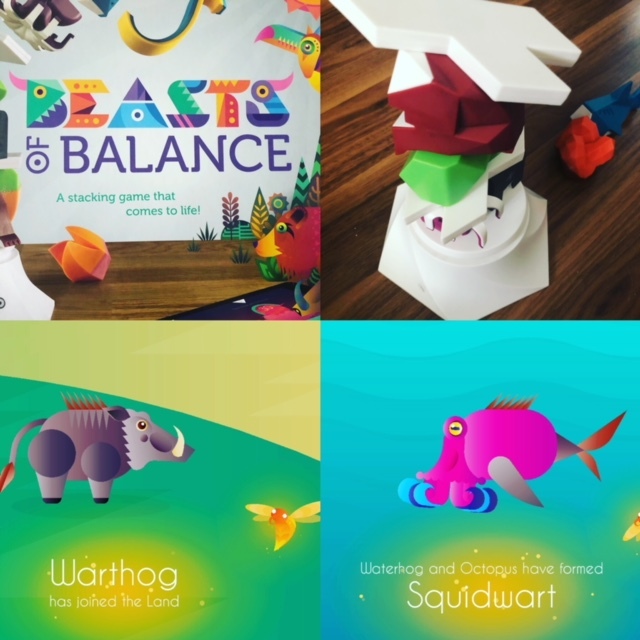 Beasts of Balance brings amazing technology to life in this interactive game of skill and creativity. Get ready to stack your animal characters and watch your world come to life! 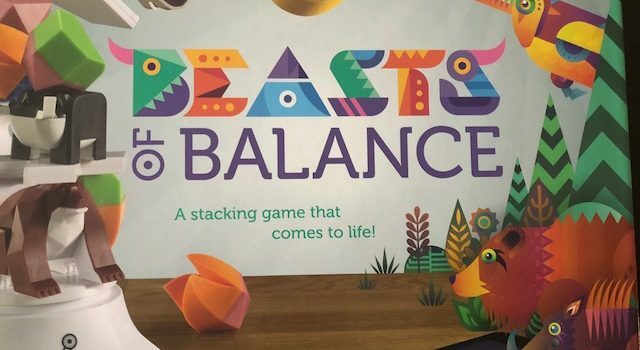 What is Beasts of Balance? 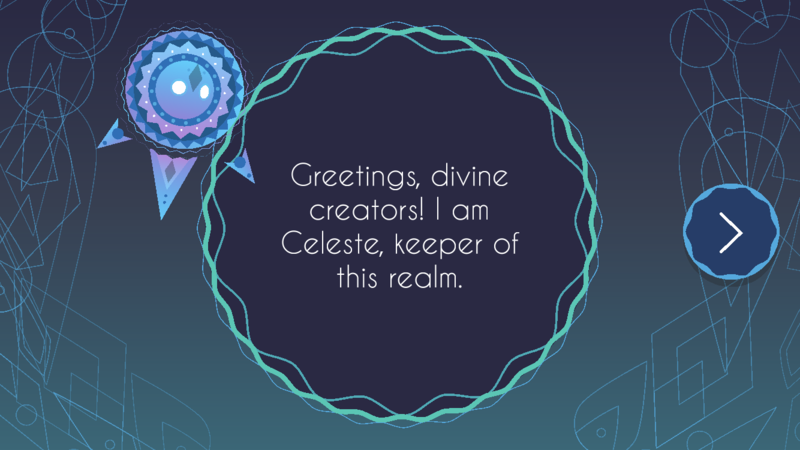 It is a game that uses physical artefacts that creates a digital world on your tablet or digital device. Players create and evolve their world by stacking artefacts but the game ends when the tower falls! You first need to download the free app to a mobile device, I used my iPhone and it was a quick set up and downloaded in under one minute. Once the app was downloaded, as soon as I turned on the plinth (the white base) it connected automatically and the app loaded the game. You first run through the tutorial, where it shows you how to add the artefacts (the pieces) to the plinth and how to gain more points. The game itself is simple, stack the artefact pieces to gain points but make sure it doesn’t fall or it is game over. When we first opened up the game, I don’t think any of us realized just how much fun this game would be. It has turned into our favourite family game that we have played almost daily. It is competitive without being overly so and it is easy for all ages of our family to play. Our six-year-old is by far the best at this game! His little fingers and steady hands were perfect for adding the pieces on top of each other. Once we figured out how to gain more points by adding specific artefacts we rocked this game. 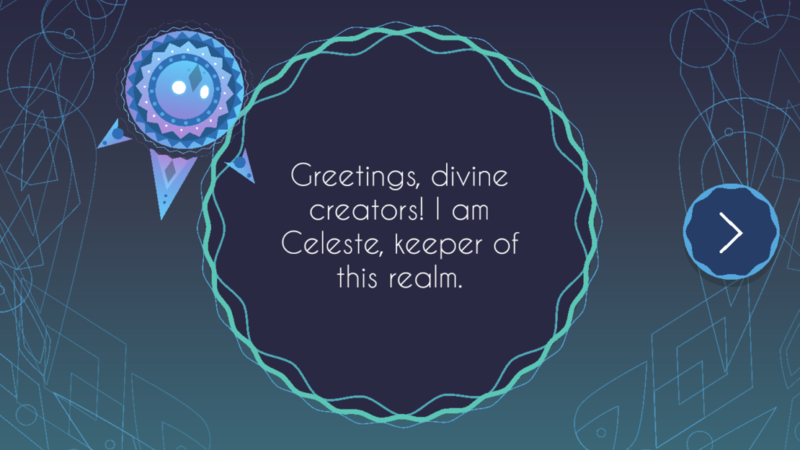 Not only was it super fun to see who would be the first to knock the tower down (usually me), the game added a whole new element with the app creating a world of creatures. 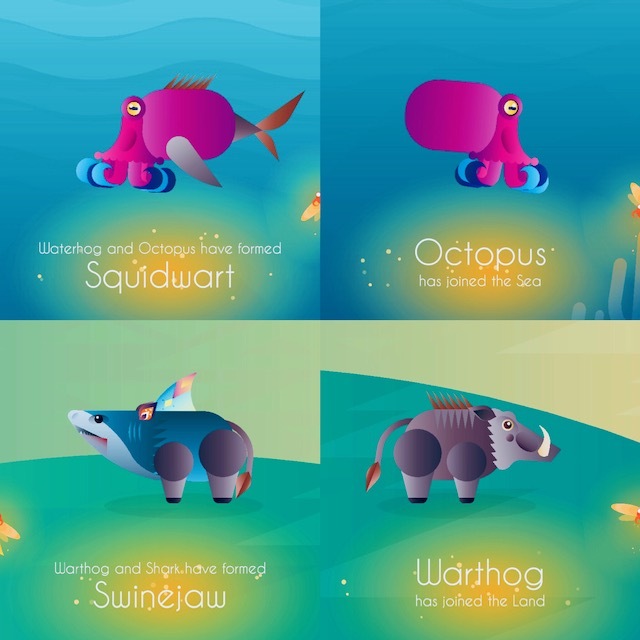 As you build your tower taller, you can cross-breed the beasts to create all new beasts (earning points) as well as they gain or lose energy based on the artefacts you add to the tower – so you definitely have to pay attention to both the app and the tower at the same time. 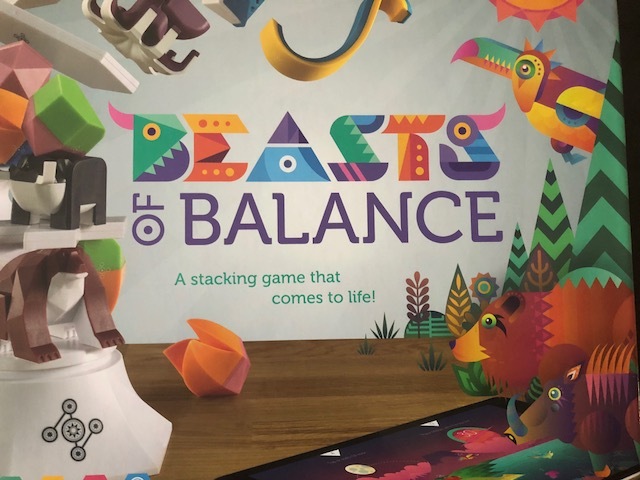 Beasts of Balance is an excellent game for children and adults of all ages – it has something for everyone. It will become your favourite game to play on family game night and any day of the week. From its easy set up, to easy instructions and elements of competitiveness you will love every moment. Learn more about Beasts of Balance on their website. You can purchase the game here.